Working out your abs is important if you want to build muscle and create a lean stomach. While you can certainly sit and do crunches all day long, these may not help you get the body that you want. There are actually apps you can now use that will teach you a lot about working out your abs and changing your body. These apps are easy to download, can be accessed from your home or the gym and are packed full of some great information! 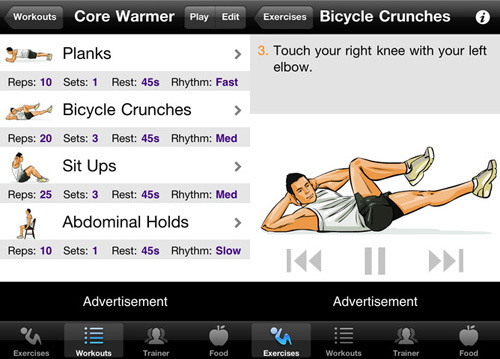 This app is one of the most popular for those looking to work out their abs in a short amount of time. It shows you the most effective workouts for building abs, and the best part is that you can do these from just about anywhere. The app gives you options for level 1, 2 or 3 workouts and also allows you to track your progress. If you want to challenge yourself to work out and do different ab exercises that you haven’t done before, then this is a great app to check out. It can really push you to exercise from anywhere, so there is no gym required. This free app is a great tool for both men and women. It shows you different routines that last from 5 to 10 minutes in length. You can use these to burn calories while strengthening and toning your abs. There are different ways to customize workouts, but you can also use one at random as well. There are videos, timers and information about the exercises to ensure that you understand how to do them completely. You won’t be risking anything by downloading this, so try it out! This is one of the best apps for strengthening abs because it was created by a personal trainer. So, it’s like having a personal trainer without all the costs associated with one! With this you can do effective ab building exercises to create a body that you can be proud of. There are only six exercises on here, but they are easy and designed to give you a better body in just 42 days. This is another great app that is totally free to download and use. It gives you different workouts to do that will help build abs, but it also lets you plan a daily workout. In addition to this, it tracks your exercise history and even lets you share your progress and workouts with social media. This app is geared towards women, but men can definitely use it as well. If you’re looking for another free ab workout from your phone; try this out! It’s packed full of different workouts that are for everyone from beginners to experts. Each exercise is thoroughly explained with instructions, pictures and even videos. 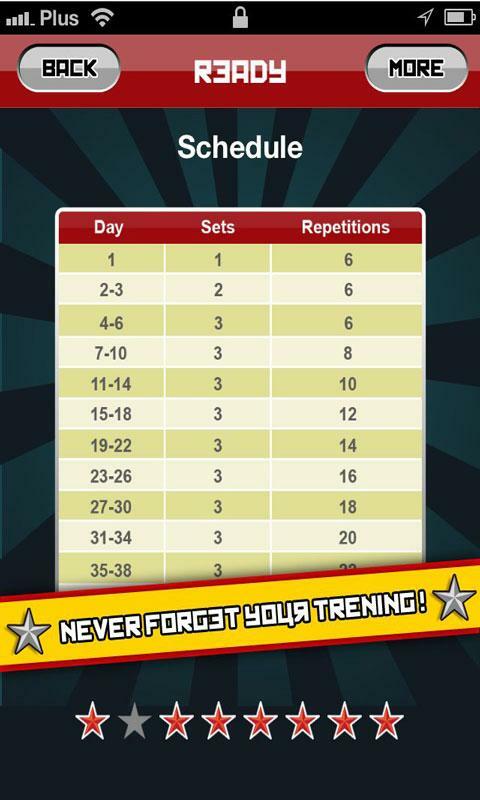 You can use this to track your progress, learn new exercises and create great looking abs. Daniel is a health care and body building expert with years of experiencing helping people. He contributes her advice and guidance to JackedGorilla.Com, where everyday people can find expert advice on the best amino acids, body building and fitness. The best workout would be to leave your car at home, give stairs a try and actually cook something other than microwave meals and McJunkFood visits. Then, people might feel confident enough to actually leave behind their metallic snail shells (cars) and actually share a moment with their families (who will be busily intent on staring at phones and iPads). Be warned though that disturbing family members from their social media may cause panic, as their peripheral vision starts to be overwhelmed with real stuff taking the place of digital like clicks.